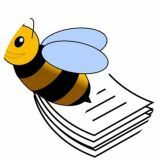 Welcome to Busy Bee Notary. Our goal is to provide legal, professional, and quality Notary Public to individuals and companies abiding by the State of Texas Statutes. Note: Additional mileage will be added depending on your location. As a Notary Signing Agent we are specifically trained to handle the signing of mortgage documents. We are available to Realtors, Mortgage lenders, Title and Escrow Companies, Small Businesses and for the General Public, Driving Schools, Hospitals, Attorneys and Hotels,and Car Impoundment. We Come to You! Let us do the traveling to your home, business, or other meeting place at a time that fits your busy schedule. Minimum $15.00 travel fee for any mobile notary within the Austin area. Serving: Bastrop, Burnet,, Hays, Travis, and Williamson and Lakeway areas. Note: All signers must provide current, legal photo ID, preferably a state-issued driver or non-driver ID or U.S. Passport. Acceptable ID is that which is current or has been issued within five years, contains a photograph and description of the person named on it, shall be signed by the person, shall bear a serial or other identifying number, and in the event that the document is a passport, shall have been stamped by the United States Immigration and Naturalization Service.